Varahmihir, the father of astrology in his famous book Brihat Jataka did not recognise Rahu and Ketu but in his another book Brihat Samhita he devoted one chapter to Rahu and Ketu and considered them not any celestial physical body like other planets but as the nodes of the Moon, ie, points of intersection of orbits of the Moon and the Earth. The north point of this intersection is called Rahu (north node) while the south point of that is called Ketu (south node). In Surya Siddhanta (an antique book on Astronomy) they are also considered as nodal points which are now known as shadowy planets. 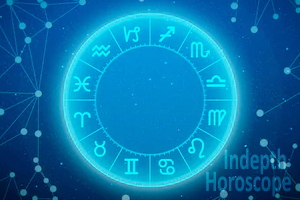 Our learned astrologers found their significant role in judging horoscope for ups and down in one’s life, these nodes have been referred to the class of planets. In the ancient scriptures on vedic astrology Rahu and Ketu are not mentioned, instead, seven planets. The name, Rahu appears in the Ramayana and Mahabharata, when we read the story of the churning of the Ocean. In the Hindu Mythology, there is a tale of terrible battle between deities and demons and that during the churning of the ocean ( क्षीर सागर ) they got ambrosia - the elixir of immortality (immortal nectar) as one of the extracted products. The deities as a heedful action against the scare of their pernanent cruelties prayed to lord Vishnu for not distribution of the nectar among the demons. Lord Vishnu concealed himself by changing his appearance as a beautiful enchantress “Mohini” and advised deities as well as demons to line up. One of the demon of subtle thinking “Swarbhanu” understood the secret of Vishu and in the guise of a deity infiltrated into the line of the deities. The two deities Sun and Moon identified him and pointed out to the lord who immediately strangled the demon “Swarbhanu” by his famous weapon chakra. The nodal points of the Moon what we call Rahu and Ketu are, infact, clubs of magnetic and gravitational forces of two celestial bodies, the Moon and the Earth and hence are very influential on the life of mankind. These points affect our central nervous system as well as sympathetic and para-sympathetic nervous systems which work on the principles of electro-magnetic systems. Consequently, they have direct impacts on the generation of signals of informations in neurons and neuro-transmitters and their movement from brain to various parts of our body and back to the brain. In this way, these nodal points (Rahu and Ketu) are psycho-somatic which govern not only the stress level of our mind but also the activities of hormones, blood circulation and function of the heart. This becomes more important at present time of intense competition at various levels of survival for gains of physical comforts when we have been very prone to psycho-somatic problems which creep up cardiac problems. In this scenario, astrological study of so called Rahu-Ketu in one’s horoscope is very note-worthy. Rahu and Ketu do not own any signs, but they do own nakshatras, and hence are assigned appropriate dasha periods in the Vimshottari dasha system. Rahu owns Ardra, Swati and Shatabisha and has 18 years of Vimshottari dasha. Ketu owns Ashvini, Magha and Moola nakshatras and has 7 years out of 120 years of Vinshottari dasha period. 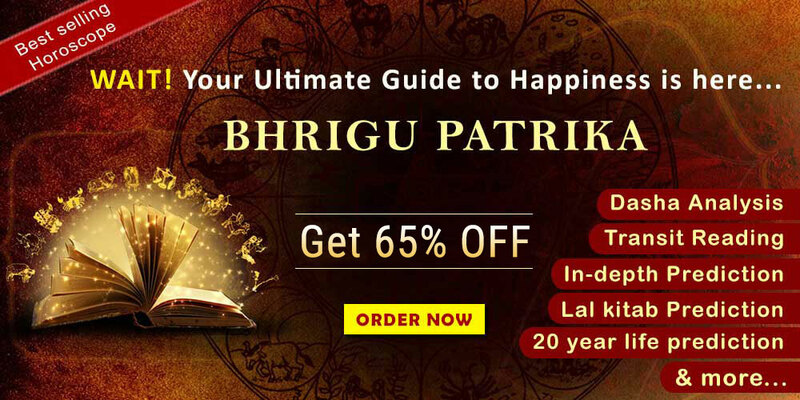 Although Rahu and Ketu have not been assigned lordship of any sign and house yet erudite astrologers like Parashar, Kalidas, Baidyanath, Mantreshwar considered some signs of much importance. Likewise, according to Parashar, Rahu is exalted in Taurus and Ketu in Scorpio. Cancer is Mooltrikona and Virgo is own sign of Rahu but for Ketu Gemini is Mooltrikona and Sagitattarius and Pisces are his own signs. In this way if Tauras is the sign of exaltation for Rahu, the 7th Scorpio is his sign of debilitation. The great poet Kalidas in his script Uttar Kalamrita also accepted Rahu exalted in Taurus and Ketu in Scorpio but he considered Gemini as mooltrikona for Rahu and Virgo for Ketu as well as own sign Aquarius for Rahu and Scorpio for Ketu while other astrologers expressed their ambiguity on this issue. A comprehensive view of different astrologers on exalted, mooltrikona and own signs of Rahu and Ketu appears in the box. Similarly, there is an ambiguity for their aspect. Some consider their aspect like Mars (4, 7 & 8) while some consider like Saturn (3, 7, & 10) and others consider like Jupiter (5, 7 & 9th). As per experiences, in one’s horoscope, Rahu is considered powerful to bestow fortune and success when exists in Aries, Taurus, Gemini, Cancer, Leo, Virgo and Aquarius while Ketu, inturn, is powerful in the opposite signs, ie, Libra, Scorpio, Sagittarius, Capricon, Aquarius and Pisces. Although Rahu considers the lumaniries Sun and Moon as his enemy, but impart successful results in their signs, Cancer and Leo. However, Kalidas considered Cancer and Leo as enemy of Rahu and Ketu. 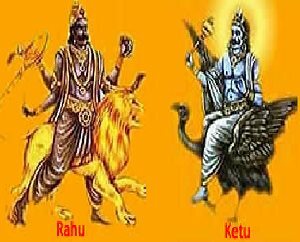 Rahu is a friend of Mercury, saturn and Ketu but Sun, Mars and Venus are his enemy and Moon and Jupiter are neutral to him. If Sun and Venus or Sun and Saturn associate together in a sign, Rahu is considered to provide adverse results. In this state Rahu spoils the good traits of his house and the native observes obstacles in the path of progress and success. The cojunction of Saturn-Rahu vitiates the horoscope with Shrapit Yoga which is responsible for tremendous difficulties in the life of the native. In general, Rahu carries the positive and beneficial tone of Jupiter and hence stands for growth and development and self help while Ketu expresses the restrictions and obstacles of Saturn and hence thought to restrict growth. In this way Rahu represents positive objectives and Ketu denotes the easy way out with little opportunity for growth. Thus Rahu signifies materialism and desires, whereas Ketu signifies spiritual tendencies and process of the refinement of materialization to spirit but obstacles in the material realm. Rahu is considered to be wile, deceitful and dishonest. After all, Rahu did succeed in tricking Vishnu in serving him immortal nectar. Therefore, Rahu is described as a liar, foul mouth and full of criticism about others. He creates psychiatric disorders and other diseases of mind, especially when conjunct with Moon. However, if well placed in one’s horoscope, Rahu gives courage, prestige and fame. It can bring out extraordinary qualities in terms of supernatural in an individual. Rahu’s negative tendencies such as to destroy intelligence can be removed by strengthening Mercury which represents intellect. Perhaps this is the reason that Rahu is considered beneficial in Mercury’s sign, Gemini and Virgo. Ketu is considered both malefic and benefic, as it causes sorrow and loss, and yet at the same time it turns the individual to God and the final liberation from the cycle of birth and death. Therefore, Ketu is an indicator of intelligence, wisdom, non-attachment, penetrating insight, derangement, and psychic abilities. Despite of such negative characteristics, we survive with the wrath of these evil planets because they are bound to affect one or more houses in our horoscopes. Since Rahu and Ketu do not own any particular house, the question is how do they impart their good or bad effects ? The answer was given by Maharishi Parashar in 13th and 21st dictum of Laghu Parashari that they act as per their position in house as well as association and relationship with planets. 3. If they occupy any angle or trine and get associated with the lord of either angle or trine, they bestow benefic results. It is surprising that Rahu and Ketu, by nature, are evil even then they have been proved to be planets of success and fortune. It is observed that they act as catalytic agent and hence have power to intensify 10 times the good or bad results of the planet with whom they exist or whose house they occupy. 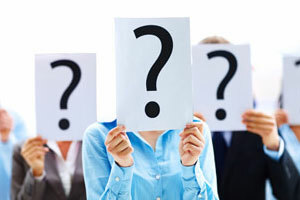 Consider the horoscopes of Taurus, Cancer, and Libra ascendants. In case of Taurus and Libra ascendants Saturn being the lord of an angle and a trine is an auspicious planet. If Rahu or Ketu occupies either an angle or a trine place alongwith the Saturn, then their malefic nature would be sublimated and they would bestow good name, fame, fortune and success. Similarly, in Cancer ascendant Mars being a lord of an angle as well as a trine is an auspicious planet. If either Rahu or Ketu joins Mars and occupies either an angle or a trine place then the node would be proved very beneficial in material world. Rahu or Ketu bestows good success and fortunes in his period when placed in either movable (Aries), fixed (Taurus, Leo, Aquarius) or dual (Gemini, Virgo) sign in an angle (ie, 1, 4, 7, 10) or trine (5 and 9th) places termed as benefic houses in the asterism of the lord of either benefic houses and/or associated with the lord of either benefic houses. It means that the nodes become fruitful if they occupy an angle or a trine and get associated by or aspected by their lord. It can be concluded that they are optimum beneficial in angles than in trine. Such natives get good opportunity and prosperity and become rich, active and authoritative. By the aspect of the Jupiter the nodes instill the native with philosophical and religious traits. The nodes in benefic houses give a unique setup of thinking, working and imaging and nourish the native with ingredients of creativity as well as logic and decisive power which lead to progress and success. if occupies any evil place such as 6th, 8th or 12th in association of the lord of the evil place or even any naturally benefic planet (Moon, Mercury, Jupiter, Venus). The same bad effects are also produced when either of the two nodes in association of the lord of fatal place, ie, 2nd, 7th or 11th occupies any fatal place. The node in association of the lords of either 2nd, 7th or 11th house also become fatal even if it occupies house of fortune, ie, 5th and 9th. If one gets born in asterism Ashwini, Magha or Moola, he is most likely to suffer in Rahu’s period. Similarly, Ketu’s period may be proved bad if one borns in Aridra, Swati or Shatabhisha. It is believed that Rahu’s period is more effective, powerful and durable than that of the Ketu. This place stands for self, life, longevity, vitality, complexion, nature and out look towards life of the native. Lal Kitab considers this place of Aries, a fiery sign. In fact, all fiery signs (Aries, Leo, Sagittarius) in ascendants give independence, broad out look, outgoing personalities, courage, enthusiasm and leadership qualities. An unafflicted Rahu in this position augments these characteristics and gives opportunities of earning wealth and property from unexpected sources. But, if afflicted then he is not only responsible for ill temper but also causes diseases of mouth and teeth. By the effect of Mars-Rahu, the teeth of the native become weak and begin to fall at the age of 40 years. However, in 1st house Rahu is considered better than Ketu for marital snugness and physical gains - accumulation of wealth, position and prosperity. But, in 7th house Rahu becomes exorbitant for sexual urge, especially when Rahu gets associated with Mars or Venus. It is stated in astrological texts that if Rahu in 7th house is hemmed by malefics such as Sun, Mars or Saturn then discord of married life and even danger to the life of life partner is most likely to occure. In my experience, multiple marriages of the native have been observed. In 1st house Ketu in adverse position is not conducive to health, religious and cheritable thinking and working. In the chart of Salman Rushdie, an Indian-British novelist and essayist, the 7th house is vitiated by Rahu-Venus conjunction which is responsible for that Rushdie is fond of women and practically has been married four times. The Second house signifies tangible assets such as finances and intangible assets such as eye sight, memory, tongue and eloquecy. Profoundly, this is a place of accumulation of wealth, education, honor and longevity where this axis is not considered good. Because, if either node is afflicted (by any of Sun, Mars, Saturn) or associated by Venus, the native develops bad habits and his tongue is not praise-worthy. Businessmen, if have such afficted Rahu-Ketu axis in 2nd and 8th houses, should be aware of heavy loss of wealth. The 3rd house signifies courage to implement the intelligence, younger brothers and sisters and short journeys while 9th house is a place of destiny. The axis in these houses gives a sharp, courageous, inventive mind, progressive attitude and dedication to work. Thus Rahu-Ketu do well in these houses, where they give lot of money, movement in a direction selected to proceed towards progress, victory and success. The person wears a golden crown, a symbol of richness, power and triumph. When Rahu-Ketu are in 3rd and 9th houses and malefics in 6th and/or 8th, the axis cannot be considered good for longevity of the native as well as his younger brothers. If some-how the 3rd and 9th houses are bad, the 5th will also prove bad. If the 9th is occupied by Sun or Moon, then Rahu or Ketu in the 5th will neither affect the issues of the native or the native himself adversely. Rahu or Ketu in watery sign in 9th house provide opportunity for foreign travel. The role of Rahu-Ketu in 3rd and 9th houses in one’s life can be illustrated by considering the chart of Adolf Hitler, born in a poor family but was a veteran of world war 1 and got leadership of the Nazi party in Germany. In his chart, Rahu occupies Gemini sign in 9th house, a trine place and receives benign aspect of Moon and Jupiter. This is one of the best positions of Rahu in a horoscope, under the influence of which the native gets name, fame, prosperity, position, bravery, prowess and triumph in social and political arrays. Hitler had progmatic ideas rather than dogmatic and hence passion to do work of valour. He promoted nationalism, antisemitism and anticommunism with his charismatic oratory and then on the morning of 30th Jan 1933, in the period of Rahu-Jupiter, he sworn in as Chancellor of Germany. In his life, Rahu’s period was commenced in March 1933 for 18 years. It bizare that Hitler committed suicide on 30th April 1945 in the period of Rahu-Moon, why? Rahu is at 7th position (fatal place) from Moon. Similarly, the chart of Industrialist Dhiru Bhai Ambani shows Rahu-Ketu axis in 3rd and 9th houses. The native was born in a family of poor school teacher but planetary forces made him ambitious, materialistic, desirous of status and power and infact he was proved goal oriented. No one can have as much energy. This a very sensitive place of the horoscope which signifies property, conveyance, domestic happiness and wellbeings of mother. Vedic astrology does not considere this axis good in 4th house but Lal Kitab considers good. Phaldeepica says that with Rahu in 4th house, the native will have a short span of life and seldom happiness. Similarly, Mansagari does not depict good results, ie, the native shall be devoid of wealth, happiness and paternal property. Actually, these adverse consequences are observed when the node is influenced by another malefic such as Sun, Mars or Saturn. I have found that Sun-Rahu Mars-Rahu and Saturn-Rahu in 4th house squeeze the fragrance of life. A male native of a chart with Sun-Mercury-Venus-Saturn-Rahu could not accumulate wealth, property and conveyances, however, he is bestowed with good family. A female native with Mars-Rahu in 4th house could not avail domestic and marital happiness through out her life. According to Lal Kitab 4th house belongs to Moon which is an enemy of Rahu. If Rahu is alone (free from afliction) in 4th house and Moon is strong, the native would be intelligent, wealthy, prosperous and enjoying comfortable life. If Rahu is malefic and Moon is weak then the native would lead his life full of poverty and devoid of maternal happiness. 5th house is a place of intelligence, luck, speculation and progeny while 11th house is of material gain. Lord of either an angle or a trine in 5th house bestows Rajyoga to the native and, therefore, he would be induced to use his potential for spiritual and matreial gain. Such persons will be noble, learned, courageous and successful in their life. If Rahu or Ketu be placed in the 5th and there are inimical planets in the 8th then strokes of misfortune will hit the native through the 11th house. The relatives indicated by the planets of the 5th and 8th houses will also be affected. In this situation the earnings of the native will also be affected very adversely, if the 2nd house is empty. Nothing will be able to save the native. Now the planets of the 10th and 5th will also turn to be malefic whatever be their natural character. Ketu’s placement in eleventh and twelfth house is considered extremely auspicious, where it gives results to make a person’s worth equivalent to that of kings. If Rahu and Ketu are with either Sun or Moon in 5th, 6th, 8th or 12th house, Pitru Dosha appears which destroys the benefics of the horoscope of the native and create obstacles in the path of his progress. In horoscope, 6th house denotes debt, disease, enemy, mental worries, extravagance, obstacles and calamity in life while 12th house signifies expenditure, loss, confinement, conjugal relations, secret enemy, conspiracy, foreign travels, divine knowledge, emancipation and renunciation. Since 6th house is considered a place of Virgo sign ruled by Mercury and12th house a place of Picease ruled by Jupiter, Rahu in 6th is in a state of exaltation and Ketu in 12th house is an indication of emancipation and renunciation. It is observed that Rahu-Ketu axis in 6th and 12th houses confers the potential for good judgement of how to struggle in life. Such natives have outstanding organisational and administrative capabilities and hence conquer enemies in either battlefield of business, politics and administration. The axis gives opportunities of foreign travel. Ketu in sixth house is a good placement in making an individual generous and famous. Infact, in 12th either node when is free from Mars and Venus but receives aspect of divine Jupiter, initiates the native towards spiritualism who triumph himself over materialism. 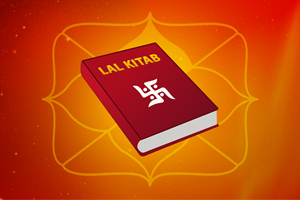 According to Lal Kitab 12th house is Pakka Ghar of Rahu, from where the native gains divine knowledge. But, if at this place, Rahu is associated with Mars or Venus, then these adverse associations indice the native towards extravegance. Such natives get entangled in licentious activities and then they are stray dogs (drown in debt and disease). For illustration if we consider the charts of Nehru family, we find Rahu-Ketu axis in 6th and 12th houses in the charts of Pt. Motilal, Pt. Jawaharlal, Smt Indira Gandhi and Sh Rajiv Gandhi. All of them faced a lot of struggle in their life and scaled high of name and fame as a major political leader of the Congress Party, a pivotal figure in the Indian independence movement and Prime Ministers of India (not Pt Motilal).They were a key figure in international politics as well as one of the most influential forces in Indian politics.